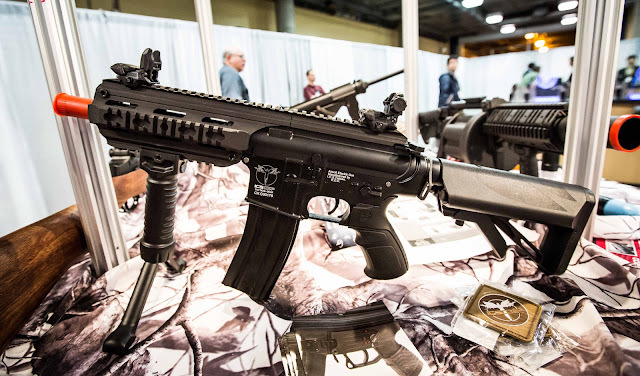 Here's a little more from the ICS booth during Shot Show 2013. 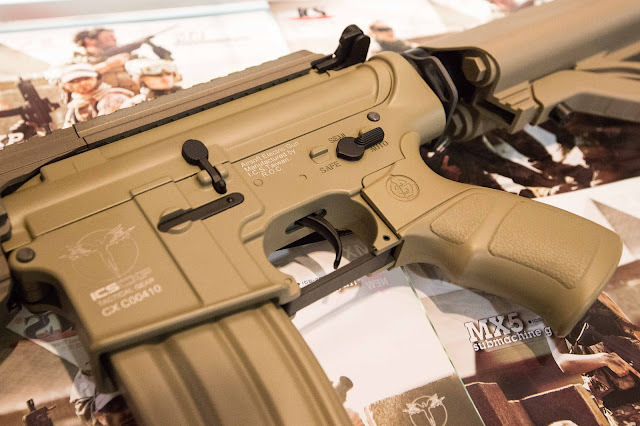 This is the ICS M4 CXP AEG. You'll noticed there are a few differences between it and your average M4. Personally, I liked the pistol grip on it. Very comfortable. They also had a tan version on display. This one isn't really new, but it's one of my favorites so it gets some love here. 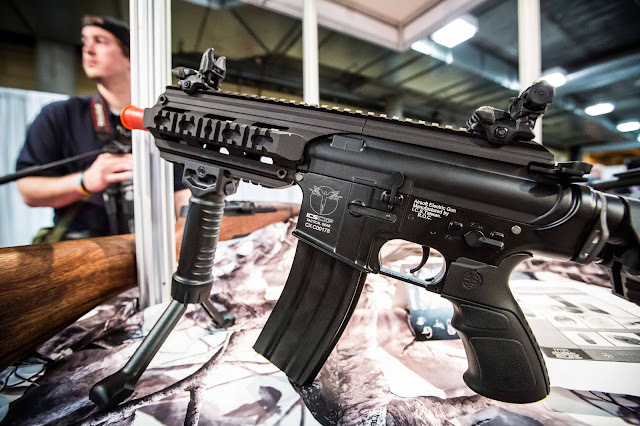 The ICS Galil SAR AEG. And for my British friends or those who simply enjoy British weaponry, here is the ICS L85 AEG.